Congratulations to the Winner! Still time to save on FA Plexworks this week! 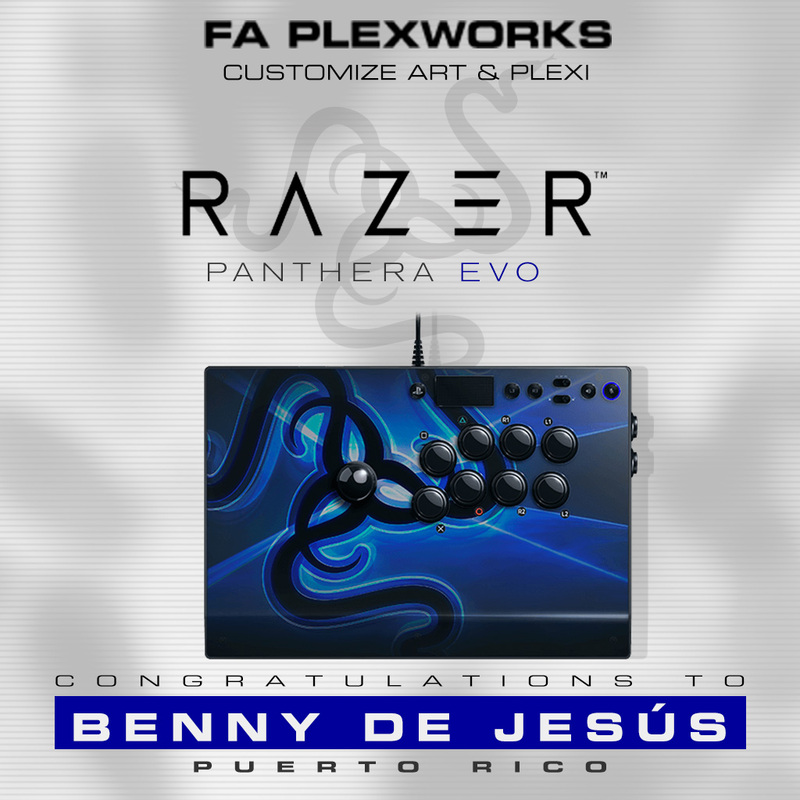 Thanks to you and many others that participated in our FA Plexworks Razer Panthera EVO giveaway! The entries were tallied after 8:00pm EST tonight, and the winner is Benny De Jesús of Puerto Rico. Congratulations! Benny, if you're reading this, we will be in touch with details on customizing your new prize. If you did not win, please know that there are plenty more giveaways coming to FA. It never hurts to try! 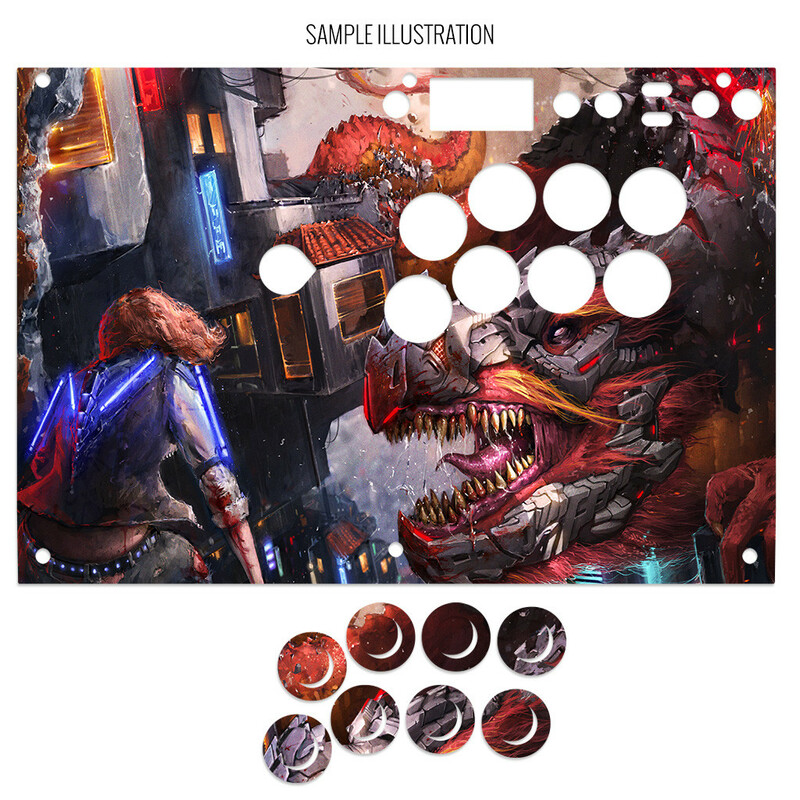 Perhaps you already own the Razer Panthera EVO, or would love to get your own custom artwork and plexi for a favorite fightstick. Use code PLEXWORKS25 now through Saturday, January 19th to save 25% on your next custom request. You can also use this newsletter exclusive coupon to save on artwork print and cut for the all-new Razer Panthera EVO! Click the graphic below to visit the page, download the template, and later submit your own creatives for printing. 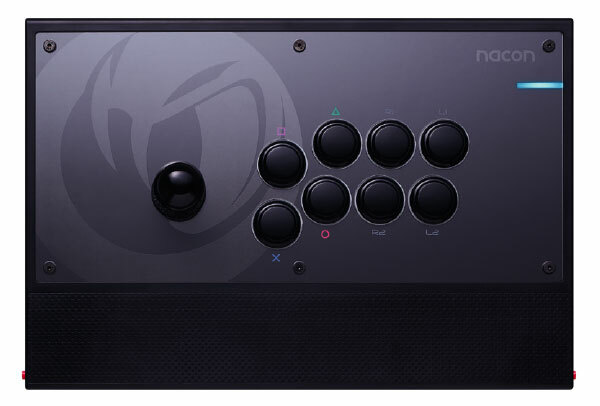 I'm happy to finally offer etching services for our thinnest plexi, which is used for models such as the MadCatz TE2 (Generation 2) and Street Fighter x Tekken Pro, plus Hori RAP N, DOA5 and RAP 4 Kai. Additional models will be supported very soon. This newsletter arrives after a busy holiday month, but I promise more exciting news is coming. Next week, we're set to release artwork and plexi services for the Nacon Draija Arcade Joystick, a solid European import. 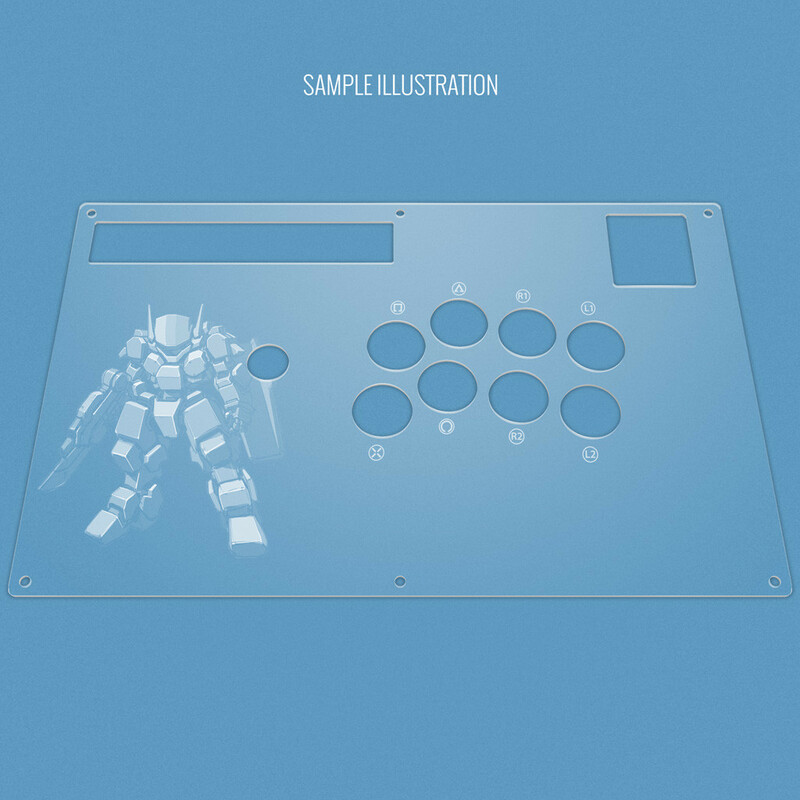 Holdouts of the PDP Injustice Battle Edition fightstick will also see custom artwork and plexi. The Mixbox is also coming. Finally for those who have asked, FA Rewards will indeed return. I'll have an explanation of what happened and how we're making things right for those Rewards members who purchased since the program went offline. Thanks for hanging in there!